Finding the right pool table for you and your family is a bit more of a complicated process than just walking into a store and picking one out. A pool table is a major investment for your home, and as such, you want to make sure that you are putting the right level of consideration into the process of finding the perfect table for your home. If you have a family, there are going to be certain things that you will want to take into consideration when making your selection to ensure you get a table that can stand up to the kind of punishment that kids and regular use can put on it. 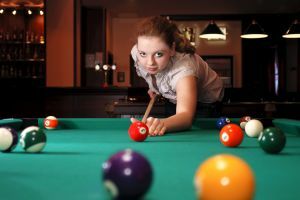 To help you in this process, our team of San Jose pool table professionals at The Pool Table Pros have taken the time to put together this short list of helpful tips to give you a little bit of guidance on how to find the perfect new pool table for your family. When trying to find the right pool table for your home, one of the most important things you are going to need to take into consideration is the amount of space you have available in whatever room you are looking to install it in. While a 9-foot tournament table might be something you have always dreamed of having in your home, you may find that you just don't have the space necessary for having such a pool table installed anywhere in your home. That being said, you and your family can easily have just as much fun on a 7 or 8-foot table, and it might be a little bit more manageable for kids or anyone in your family who might be a bit shorter. The thickness of the slate is something definitely worth considering when you are looking for the right pool table for your home, especially if you have younger children who are going to be playing with you. Most times, kids are going to be a little bit less careful about how they play the game compared to you, and as cue balls and sticks are constantly striking the slate of your table, it is going to start warping over time. As your slate becomes less and less level of time, it is going to get more and more difficult to enjoy an accurate game. Thicker slate will go a long way towards warding off some of this warping and will be better able to withstand this kind of damage as time goes on. The type of felt you have on your table's surface will have a dramatic effect on both the look and the performance of your table. When you are making the decision on which table is the right one for you and your family, it is important to ask yourself what you are looking for in your games. Smoother felts will result in a faster game, and some of the more textured felts will help to slow the balls down just a bit. Durability is also something to take into consideration, as table felt can suffer a great deal of damage over time as cue sticks and cue balls are continually striking it or traveling over the surface. If you plan on playing games with your kids, it might be in your better interest to favor durability in your felt over visual aesthetic or speed, while if you plan on playing with older players or playing by yourself, these are things that you will have more freedom of choice in. If you need help finding the perfect pool table for your family, then please call 408-499-6300 or complete our online request form.